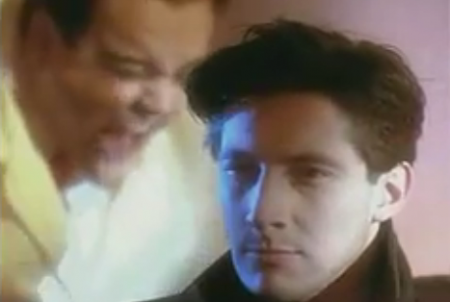 Remember waaaay back in my first Radvertisements post when I talked about UK ads? Well I found more. In the other post about UK ads I featured a series of commercials starring a teenage kid who lives in an 18-wheeler in a parking lot somewhere who plays games and fights ninjas. There’s no way their other mascot can be as weird or unrelated to games, right? So the series of adverts I’m featuring today are about a barber that installs bionic arms into people on the set of Batman and Robin so they can play Mega Drive games better. Man, where the hell do I even begin deconstructing this ad? A dude, who already has a pretty great haircut, walks into a barber shop that looks like a Terry Gilliam film and asks for the “Cyber Razor Cut.” The barber is so excited that he pumps his fists and makes this face. The barber then puts on giant goggles and throws a switch. The switch causes a rack of instruments to flip up near the dudes arm, but not touching it, and it turns the guys arm into a robot arm. I guess the robot arm is so he can play Mega Drive games faster? I’ve played a lot of Genesis games and none of them really require android-like speed. And he’s not even touching the d-pad. If anything he should be doing worse. 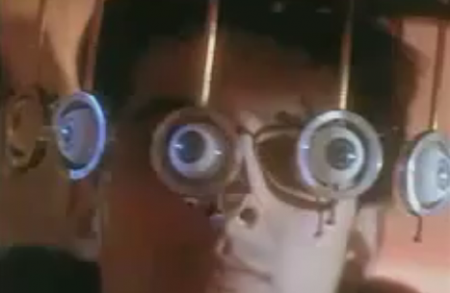 Then the barber installs new eyes into the dudes head so he can better target enemies on the screen. What the hell kind of barber is this? Is he like the barbers in the 1700’s that were also surgeons? I’m not sure if there were more ads featuring this guy than these two. They were the only ones I could find. The second ad does what I’ve talked about many SEGA ads doing before and just plays clips of available Mega Drive games over crappy stock music. They even use shots from the last ad I just showed you. 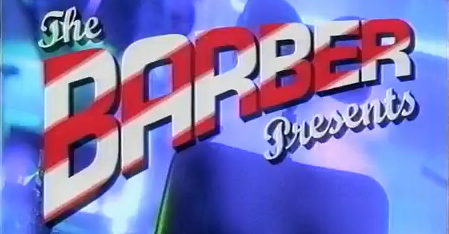 I don’t know why they needed the barber for this one. Hell I don’t know why they needed him at all. Why did he have to be a barber? He doesn’t do any barbing. The guy could have just been any mad scientist or something. 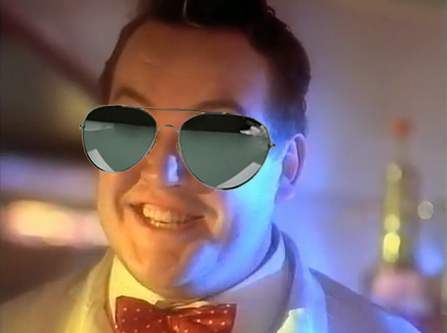 Also, this may just be because he’s a fat English guy but doesn’t he kinda look like Jim Sterling? You’d think the English would be better at this than us. I wanted them to approach the ads like their TV, with more grace and intelligence than we do. The UK ads may be even dumber than ours. You gotta give them credit for the production value, I guess. No American ads rented a truck or put a fat dude in a Pee Wee Herman suit. And at least he’s kind of memorable. Can you remember any SEGA US spokesmen? But he ain’t no Segata Sanshiro. That’s it for this weeks Radvertisements. Remember kids, Segata Sanshiro does what weirdass barber-surgeon’t. Had I visited this barber, I may have actually been able to play through the Teenage Mutant Ninja Turtles Tournament Fighters. I swear that last picture looks like Jim Sterling. That explains why the games are so hard!